Editing the contents of your carry on can be tough, so here are a few tricks to help you bring a lighter bag on your next mini vacation. Ask any frequent traveler and you'll find that they travel with carry-on as much as possible. 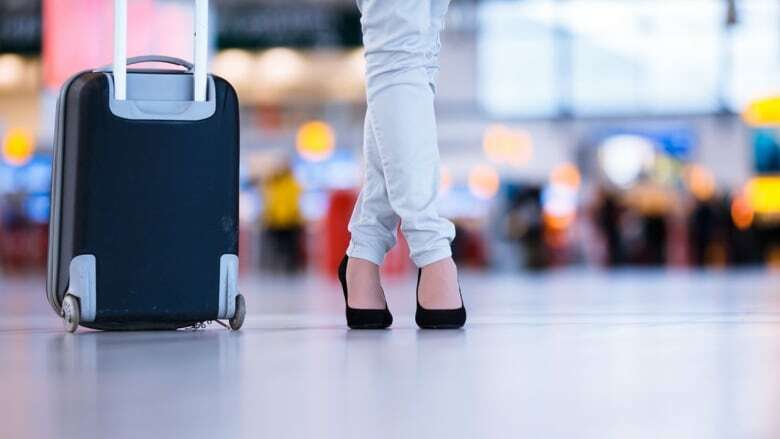 If your luggage has ever been lost or delayed or you've paid for checked luggage one too many times, the skill of packing lightly in just a carry-on could be quite valuable. After several years of steady travel, here are the tips and tricks I've learned about traveling light. To start, don't leave packing until the last minute. If you're rushed, you're likely to throw in extra items you won't wear or use during your trip. Consider the weather and your itinerary, and think through how many outfits of each type you need. Create a list for each, documenting each outfit. Roll or fold—see what works with your particular luggage. Whether rolling or folding is more efficient is often debated. I find I use a combination of both; on the half of my hardshell carry-on where there is the handle (making the surface inside the luggage not flat), I roll my soft garments so they can fit into the spaces, whereas on the other half I flat pack and include the pieces that aren't very flexible, like shoes. Place heavier items toward the lower half of your carry-on luggage (closer to the wheels). By having the weight distributed toward the bottom, it'll make it easier to stand the luggage upright and to roll it. Wear your gym shoes for travel. Running shoes take up a ton of space, so I wear them (or whatever pair of shoes will take up prime suitcase real estate) on the flight, or you can get away with tying the laces and having them hang off of your luggage or personal item. If I pack my runners into my luggage, socks get stuffed into them to make use of that valuable space. Invest in a sizeable personal-item bag. Airlines are strict with the size of your carry-on luggage, but they are less stringent when it comes to your personal items. I travel with a very large tote that expands, and any items that doesn't fit into my carry-on get tucked into my tote. Bring neutral, mix and match pieces. Look to neutral classic pieces being the staple of your travel wardrobe, so you can easily wear them a few times each during your trip without looking like you're wearing the same thing daily. Pack one workout outfit and skip bringing PJs. If you plan on only a few workouts, you can get away with packing one fitness fitness outfit if you're willing to do a little handwashing during your trip. The technical fabrics athletic gear is made with dry quickly. As for what to sleep in, you can save space in your luggage if you skip bringing pyjamas and sleeping in the hotel bathrobe (although be prepared to sleep au naturel since not all rooms have robes). If you're not brand- or product-loyal, use the hotel bathroom amenities rather than packing your own shampoo and lotion. Pack only the items they don't provide such as lip balm, sunscreen and styling products. Make an edit of your electronics. If you're traveling for vacation, you can probably leave your laptop at home. Consider whether you truly need your tablet and cell phone as well, and whether you need a camera, especially if you use your smartphone for photos. You can also save room by using an e-reader such as a Kobo or by using your tablet as your reading device, rather than bringing several books and magazines. Limiting electronics means you can also cut down on the piles of cords. Also, invest in a plug extender with USB ports, so you can bring just that one rather than two or more.